The increasing use of connected products has for years made a shift in how we as shoppers and consumers behave throughout the shopper journey. We get information and knowledge everywhere all the time which is a challenge for those who are trying to reach us with their message. Now, with the growing use of connectivity between machines and so-called internet of things (IoT) not only can we consume smarter but even our homes and probably lives will be smarter. So, what’s up with this connectivity and how does it affect us as shoppers and consumers? Already last year we could see how brands such as Samsung shows the way their home appliances are equipped with connectivity solutions that take away standardized purchases like washing powder and detergent, help us organize our grocery shopping so that we also can be much better reducing food waste. The functionalities are just increasing, and we can control our machines with apps and make them work together on tasks as long as it can be done digitally and don’t need any physical assistance. Through Amazon accounts you can also more or less have all of it delivered at your doorstep if living in countries that offer this. What does connectivity mean for us as consumers? As a consumer we are already used to having everything by the touch of our fingers so one would imagine that our expectations and demands would also push for a connectivity transformation in the era of IoT as well. Well, for now it seems to be a huge potential but not everything is ready to be explored. Take for instans Google Assistant. Depending on where you live, Google Assistant can help you to place orders, search around the web, tell you the weather and also control your other devices. Meaning that you can talk to one device and then that one becomes the master of machines! Super cool to some, where others are worried. What are the opportunities within connectivity? The opportunities of connectivity are in its spear beginning. As most technological developments it gives us small and quite unimpressive possibilities at first. And then, as we quickly grow acquainted with the new many things will unravel. From a brand experience perspective, it enables a whole new world of creating shopper experiences and communicating with the shoppers at their terms and conditions. It also gives great opportunity to generate and show real value by combining different products and usability – basically from product orientation to solution thinking. What we have been working to create for years is a focus on functionality and value. Moving from a brand to a shopper-centric perspective. Today with connectivity, it’s not only necessary but I would say crucial for brands to compete without staying 100% stuck in the rat race for offering the lowest price. What are challenges of connectivity? There are of course challenges with all technological development but one important one is of course safety as we open up more and more parts of our lives to potential digital trespassing and attacks. 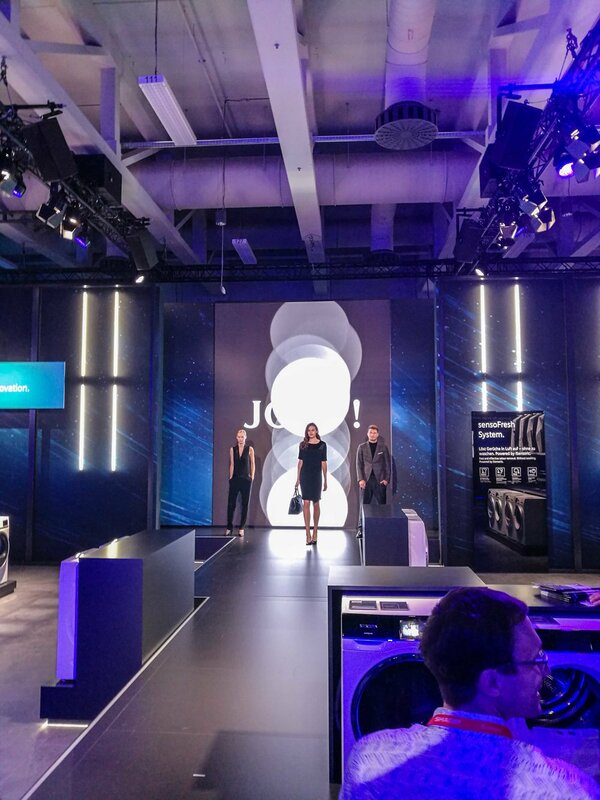 At MWC in Barcelona earlier this year it was without a doubt one of the main focuses. In Berlin that wasn’t really that visual but on the other hand the focus is also different, and the visitors want to experience the future – simple and easy – and then being wowed! So, where we, wowed that is? What is the new stuff shown at IFA 2018? The main attraction was to see how connectivity enables so many new opportunities for us. It’s exciting to see how different kind of AI creatures continue to surface. For instant the LG CLOi that can do your laundry, wait your guests, do your grocery shopping and also act as your extra body if needed. Quite cool when you see them displayed in a row but they’re probably not what you should expect to see in all homes short term. Neither I guess is Sony’s Aibo, the super cute little dog that can not only feel it when you pet him but can also be trained to do a lot of tricks. And just as any dog, when he gets too much attention it’s easy to forget all about the good training and manners that you normally show. 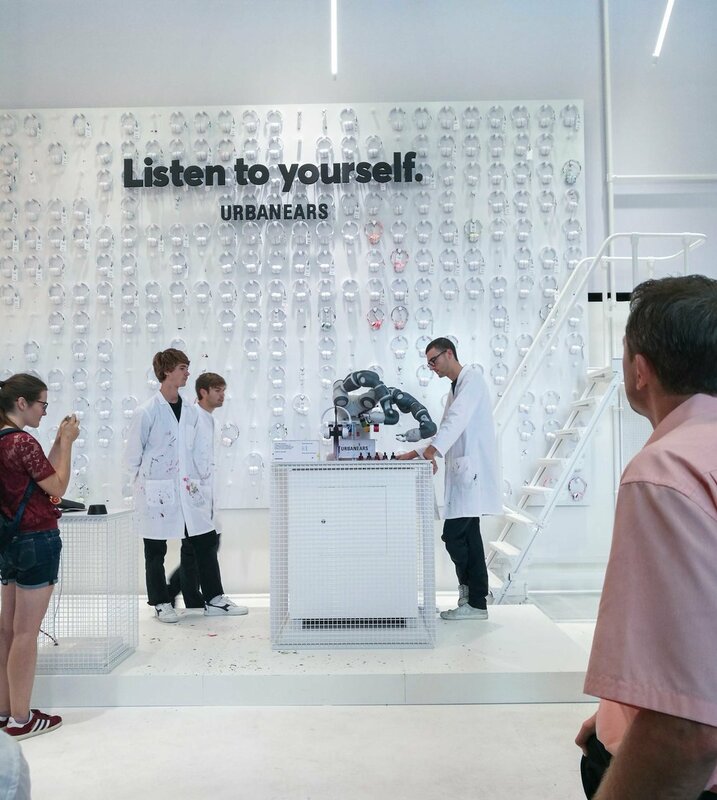 So, what about the impact from the Expo areas, activations and overall Brand Experiences at IFA 2018? T-Mobile is probably the most successful one when it comes to creating a universe where you experience how their solutions enable all the things you need to live a connected life – and it’s of course all dressed up in Magenta pink! Everything from the flow and setup of the area, to the staff you meet, and the solutions displayed down to the very last details, no matter how small, are all part of creating the T-Mobile Brand Experience. Furthermore, several of the exhibitors focus on creating personalized experiences. Setting the individual in a position that he or she can have something that is totally unique like Urbanears Headphones that had a robot painting the headphones giving them a completely one of a kind look. Even in the white goods expos the shift towards the effects of the product functionality is growing stronger. Last year it was a clear focus on sustainability, how our home appliances can contribute to reducing food waste and be a positive contribution with a little more focus on the environment. This year this focus is even stronger. Some of the brands that want to position themselves as a strong contributor within garment care, like AEG, even put on a small fashion show. I have to say it’s smart – claiming a position in an area where several industries are working to find the future of fashion, white goods play an important role in increasing the life of clothes through garment care. So, in summary, the connectivity and the possibilities that will be revealed when 5G is a reality was definitely a big deal next to the continued development of AI. For a curious technology enthusiast I have to say I’m looking forward to following the journey and see all the things we will be able to experience. Everything from letting your machines do the job for you to sharing your life with a small friend like Sony’s Aibo. The possibilities are endless and of course this comes with a responsibility of using these possibilities for doing good. The future is connected, and it’s already here. It’s just not evenly distributed. Yet!